Maybe the official way described here works for your. For me, it didn’t. I needed to reset my Surface because i bound it to the wrong account. Happens. But i wonder how an average user would react to such a bad first experience. Even i was totally disappointed, which is sad, because the hardware really feels fabulous and the promise to run pretty much anything on this thing is great. what do you mean for “disk method” in the last step? I have the same issue as you. Thanks! that would be “System Image Recovery” , see here. At least that did the trick for me after wiping out the whole drive with dispart. At first try the setup complained but then worked. I had the same issue with SP4. But I found in some other forum to remove the keyboard. I did so and the reset process continued. it worked well exactely the way Michael described, thanks a lot! We had the Type Cover keyboard removed as WindowsPro suggested. The “official” description from Microsoft did not work so we “nuked” the drive and proceeded as described here. Hi Jon, happy to hear! Thanks for your feedback! I’m unable to download the recovery image. The download interrupts app. halfway through and cannot be restarted. I have exactly the same problem. 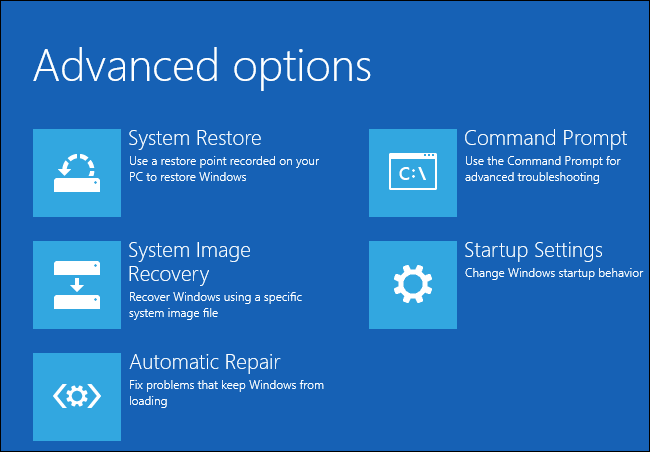 Does the solution described here rewrite the restore image to the Surface disk for future resets, or just rebuild the Windows 10 system? i’m reluctant to try this, but my guess is, it does. This has really helped me out, thanks so much for sharing. I am fixing a Surface pro 4 for a friend and I’ve found the whole process a nightmare. It’s for reasons like these that I’ll never have a PC. Since going Mac back in 2009, I’ve never looked back. My surface pro 4 is looping on start screen and the hold down volume and start button does nothing. Is there any other way to by pass the loop? The solution described here is the only one that work for me, sorry. I have exactly the same problem – linked it to the wrong account and could basically never log in. have been trying to log in and been on to microsofts useless help desk (online chat)…it stuck at 7% when resetting….stopit and the same thing…going to try your method now! this has become a nightmare, i couldn’t get the cmd prompt without logging in (which i am unable to do! )…now i am gettng a flickering screen with ‘surface’ popping up and disappearing every 10 or so seconds….all this because i linked it to the wrong office 365 account (my work account hosted by godaddy – which wuld seem to be causing the loggin in problem)…. This is exactly the same frustration I had. I don’t understand how a “normal” user should cope with that kind of problems. You surely don’t expect this from a consumer device. Good article – Im in this process now.. Have been with apple for 10 years because their stuff – thought expensive – actually works. Purchased my first microsoft- surface pro 4 yesterday, and within 4 hours of owning it i have a number of issues topping of with this!! Grr..
Like Lovegoat, I’m an apple convert. I wanted a tablet with a bigger screen, so it was either the 12.9″ iPad Pro, or a Surface Pro 4. I choose the SP4 because I have 3 iPad’s in the house, wanted a change, and within 3 days of having my SP4, I’m wanting to factory reset it as it was just soo buggy, it would hang, apps would randomly close, (free) apps would just not install from the app store, it would just say “starting downloading” or something like that, and just not do anything. Small apps too, like a couple of MBs, and I have fast internet…So I thought I’d reset and see if that helped. After kicking it off, it got to 31% quite quickly and I let it sit there for 4 hours before concluding something was wrong. I had the keyboard connected, so I’m not sure if that was part of the problem. Anyway, I removed the keyboard, followed your “nuke” method, and the recovery is now sitting at 32% and counting, hopefully this will do the trick and I can get back to using my new toy, and hopefully it’s more stable. Thank you so much, this helped me a lot !! The MS instructions to recover from disk didn’t work. I now have an expensive paper weight and my only option now is to install from a Windows 10 ISO as I can’t get the Surface install media as an ISO – thanks microsoft! Thanks for the post! This worked (unlike, ehem, the official support)! I struggled days and even suffered from Factory Reset failure (looping). Your explanation made a 100% sense, so I tried. Best wishes. Thanks! Excellent work Michael! Same for those who mentioned removing keyboard. If its close to completion (mine was 99% done) and reboots to Restore options, fully power off, remove USB device and allow the rest to complete. thanks for the article and this conversation – the most informative I found. Can’t believe this happens with a 500+ USD modern device built by MS.. Very disappointed. Don’t have usb sticks, trying the reset w/o keyboard. Will keep u posted on my result. This entry (permalink) was posted on February 9, 2016 at 8:46 PM by Michael, tagged with Microsoft, Reset, Surface Pro 4 and categorized in English posts.